"NOTHING HURTS AND NOTHING SHOCKS"
--In Seattle’s silver-screen topography, there’s a sort of holy cinema-screen triad on or near 45th street about a mile up from my house: The Metro 16 (yes, 16 screens, an art-house multiplex resembling Portland’s Fox Tower, at least in scope), the Neptune, and the Varsity. The Neptune has the mixed blessing of being Seattle’s only screen designated for exposing the masses to Mel Gibson’s slant on the crucifixion, and the Varsity is just around the corner on University Avenue. Yesterday, as I strolled past the Neptune on my way to the Varsity to take in Robert Bresson’s Au Hasard Balthazar, I pondered contrasting and even contradictory definitions of “holy,” “sacred,” and “spiritual.” Now, to be fair, I’ve not seen Gibson’s smash hit of Demille-like proportions; I’ve been reluctant for a number of reasons I feel are very understandable- I don’t feel the urge to witness this particular spectacle until DVD at the earliest. However, from what I know of Gibson and his blunt, macho, ploddingly simpleminded and sincere “style” of filmmaking, I expect a lot of breast-beating self-importance, loudness and gimmicky effects (the film’s Aramaic attempts at “authenticity” by now having been well refuted). Unless it’s undergone a very drastic change from his previous “visions” (which wouldn’t seem to be the case at all), how could the mind of Mel Gibson fail to pump up Golgotha to a suitably “impressive” post-Lethal Weapon volume? I’ve no doubt that Gibson’s concept of the “sacred” would laugh at Bresson’s as wimpy, dusty, not nearly manly enough; a very trustworthy source (Salon’s Stephanie Zecharek) criticized Gibson’s film not for its anti-Semitism but for reducing the crucifixion, with all its complex implications whether you believe it’s literal fact or compelling mythologized in the Good Book, to the sort of slick, bloody manhood-test one would expect from a Jerry Bruckheimer production. Gibson’s perspective is, according to all evidence known to me, not in the art or aesthetics of cinema as a medium, but in naked, denominationally specific apologetics and the unequivocal refuges of “morality” and “faith.” Bresson’s work is about wiping the slate clean as the baseline, and then adding back in only the most absolutely necessary elements. Though he does frequently work in a Christian (specifically Catholic) idiom, his “spiritual style” (Susan Sontag’s phrase) draws on a much more durable and ecumenical theological tradition of renouncing the things that bring pain to us, that distract us from the “pure,” “spiritual” states of selflessness and use to the world and our fellow human beings (as distinguished from mere capitalist “productivity”). Au Hasard Balthazar, set in 1967 (the time of its production), tells the story of a small group of French villagers whose trials are that of stifled small-town people everywhere; boredom, with acts of varying degrees of wantonness or self-destructiveness the only anesthetic. But these characters and their lives, their frailties and cruelties, are on the periphery of the story regarding the film’s main character, a donkey named Balthazar. Balthazar is an animal of endless forbearance who’s variously coddled, put to use, and abused by his human owners and captors. The film follows him from his “childhood” to his death, and his endless patience make the surrounding human dramas, fueled by selfishness, cruelty, impatience, pettiness, and nihilism, seem silly, unimportant, and futile. As I witnessed each perfectly honed, serious, precious moment of Bresson’s film, I wondered if, without arguing any theological, metaphysical, or supernatural point, it’s blasphemous to find this donkey to be quite simply and literally Christlike, naturally full of the kind of grace human beings only achieve occasionally and through effort, and if that could be any less dubious a proposition than entrusting cinematic Christianity to the likes of Mel Gibson. --Once upon a time, becoming part of that very select group of recording artists endorsed by the pridefully picky Morrissey seemed like a mixed blessing at best; for every James or Suede, there was a Bradford or Elcka (said not at all to impugn the fine records of the latter two, but to point out that their “splash” was, fair or no, barely a ripple). This latest batch, which includes Pony Club, The Thrills, The Libertines, and Franz Ferdinand, seem to be faring unnaturally well. 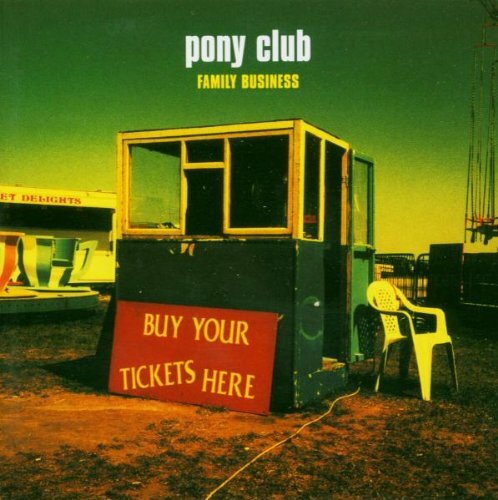 Pony Club’s fine new album Family Business is, off and on, quite a sonic treat (“Shocks,” especially, is a wonderful tune), but they’ve definitely caused the least stir, though their record is a good bit better than The Libertines’ fun, engaging, but not all that distinguished one. The Thrills album, however, is sublime, and they’ve become a smash act in the UK (and have been greeted enthusiastically by small crowds Stateside, too, if my experiences with them through their well-attended shows at my local tiny venue is any indication). 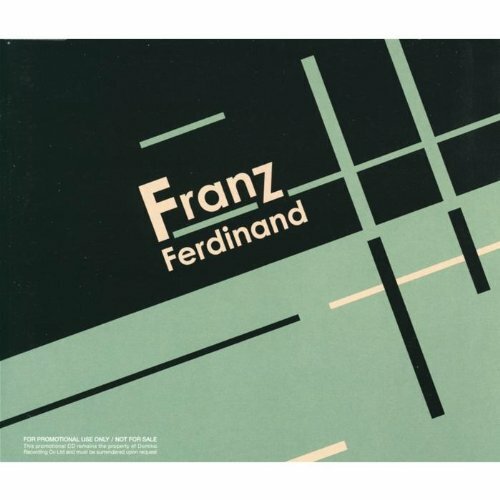 I’ve just been listening to the Franz Ferdinand album consistently this week, and it’s very enjoyable, but the hype seems a little disproportionate. Instantaneous Internet news told me that this weekend, South by Southwest festival crowds were packed in to see their performance there, with people being turned away, while tickets to their Tuesday show at the Crocodile are sold out, which means that a) I can’t go, and b) they’re more well-hyped than the Thrills- who packed but never sold out the club- though they’re certainly not a better band. They’re already a beloved indie act in the UK and apparently struck a rather lucrative US record deal (I don’t know if the Thrills disc eventually becoming “free with purchase” at my local Tower Records means it was a flop or what, but I doubt the same will be true of the Franz Ferdinand disc). --Instructions: Visit this site and this one regularly (the first one more so), and ignore the candidacy of that well-intentioned but unforgivably misguided “third candidate.” The body politic is terminally infested with bruising, lacerating, rotting Bush-ism, and it’s hemorrhaging at an alarming rate its humanity, goodwill, and common sense. Now is the time for the Kerry bandage, to replace something unbearable with something bearable, if only just so. It is not the right time to insulate ourselves in an idealistic bubble and adopt a stubborn, martyred all-or-nothing attitude that will allow overseas destruction and corruption to continue at its present unfettered rate and the working class, jobless, and poor of this country to suffer another four years of contempt-through-Republican-policy. Once Kerry is president and the level of insanity has been reduced, that would be an appropriate time to take Kerry and the too-complacent Democrats to task. At this point, the most complacent- no, the most destructive- thing to do would be to vote for anyone but Kerry in the November election.